Son & Park Beauty Filter Cream Glow is a moisturizer and a primer in one transforming your skin to a photo ready complexion! This cream is effortlessly absorbed into the skin providing hydration while it evens skin tone, blurs imperfections and brightens dull skin. Formulated with extracts from 8 different flowers, this cream gives your skin a luscious tone while it is also specially formulated to minimize excess oil production. 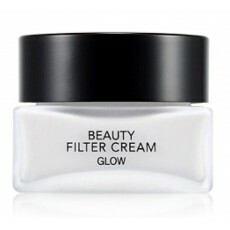 It's the perfect cream to prepare your skin for makeup application! Use as the last step of your skincare routine before your sunscreen. Scoop adequate amount and apply on the skin.